The TinyFPGA BX brings the power and flexibility of custom digital logic designs to the maker community. The BX module allows you to design and implement your own digital logic circuits in a tiny form-factor perfect for breadboards, small spaces, or custom PCBs. This incredible power allows you to do things that are not possible with traditional microcontrollers. While microcontroller boards have a fixed set of peripheral devices onboard, the TinyFPGA BX modules can implement the exact peripheral devices needed to get the job done. It's not software bit-banging, it's the real deal implemented in digital logic. When the next project has different requirements, reprogram the TinyFPGA BX with a new design suited to the task. If you don't know what the big deal is with custom digital logic, then here's a great way to learn. Place a TinyFPGA BX down on a breadboard and get to work interfacing it with LEDs, switches, rotary encoders, and any other peripheral, sensor, or interface you might like to try. The low cost of the BX and open-source ecosystem make this an excellent way to get started on a new adventure with digital logic. Whether you are a hobbyist looking to expand your capabilities, a professional prototyping a new product, or a student learning the ropes of digital design, the TinyFPGA BX can help you on your way. Have you ever wanted to use an FPGA in a project, but the available boards were too big or expensive? New to FPGAs and want to learn how to use them? Want to put an FPGA on a PCB you are designing but don't want to worry about power delivery, clocking, configuration flash, or difficult surface mount packages? If you answered "yes" to any of these questions, then the TinyFPGA BX can help! The TinyFPGA BX is designed for makers and hobbyists. It puts you in control by taking care of FPGA support details and getting out of your way. It provides an easy to use component for your projects. It's small enough to fit comfortably on a breadboard for learning or prototyping. 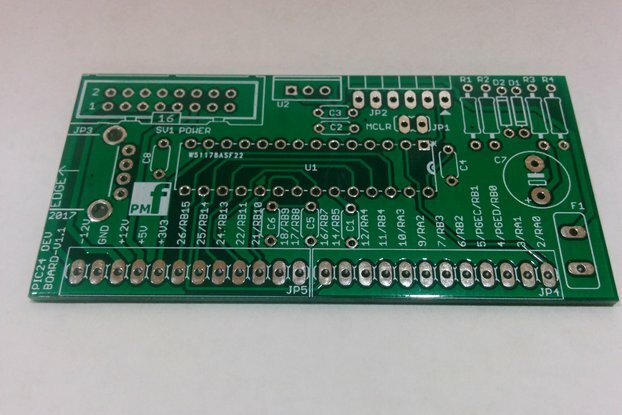 When you're ready, you can design a custom PCB incorporating a TinyFPGA BX module. The TinyFPGA BX module is completely open hardware and open source. If you move beyond the need for through-hole components, you may decide you want to re-use or adapt the design for your own creations. The TinyFPGA BX is a small FPGA module with all of the components and circuitry required for the FPGA to function taken care of for you. To develop for the board you create a design in your favorite digital design language (Verilog/VHDL, Migen, and Chisel are some popular options). Alternatively, you can use a schematic entry tool like IceStudio. A schematic entry tool allows you to graphically draw a digital circuit to be implemented on the FPGA. Once you have a design, you can program it onto the TinyFPGA BX module over USB. All the functions your design implements will now be able to interface with the outside world through the module's IO pins. There's plenty of space on either side for connecting jumpers or components. There is no smaller FPGA board available with this many logic resources! Forget proprietary and expensive USB interface chips, the TinyFPGA BX implements its own open source USB bootloader! Upon power-up, USB bootloader is loaded from SPI flash and becomes active. It appears on the host computer as a virtual serial port device. 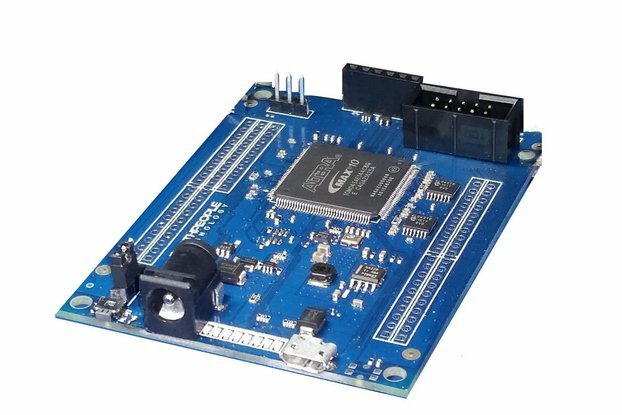 The programmer software automatically detects the board and uses the serial interface to program your design onto the board. Once your design is loaded in the SPI flash, the board reboots and loads your design without the bootloader. To update your design just press the reset button and the bootloader will be activated again. An update URL for fetching bootloader/firmware updates. Power distribution and decoupling capacitors implemented by the book for all ICs, including bulk capacitance and ferrite bead filtering for the board. IceStorm currently supports the TinyFPGA B2 and I will be working closely with its creators to implement support for the TinyFPGA BX as well. If graphical schematic entry is not your thing, you can use your own favorite text editor or try out the APIO-IDE project. APIO-IDE builds on top of PlaformIO-IDE and is a great open-source development environment for FPGAs. When it arrived i ordered a breakout board kit so i can hook it up to breadboard and experiment with logisim's Verilog conversion, so i haven't done anything except a blinking light program yet. So far everything looks good with the board, the documentation is good, and the shipping speed was fast. Communication between the seller however is non-existent at the moment, and you will probably be on your own even on the forums. Didn't look at dimensions when i purchased it and was pleasantly surprised to find it much smaller than i expected. The FPGA on it is smaller than a pill! Not much to tell about the TinyFPGA BX because I do not have it in my hands now. I bought the TinyFPGA around Nov 24 with a discount. On Nov 26 I got the confirmation that the BX is on it's way to me. Great! Since Nov 29 the BX seems to be stuck at an USPS Facility. On Dec 6. I tried to reach out for the seller but got no answer till today. So I can not rate the Product (but I have to otherwise Tindie would not let me write a review) only the Shipping and Communication. Googeling USPS and shipping international I found out that USPS sometimes stops updating the tracking information. So with customs added I might be able to update this review in one or two weeks. 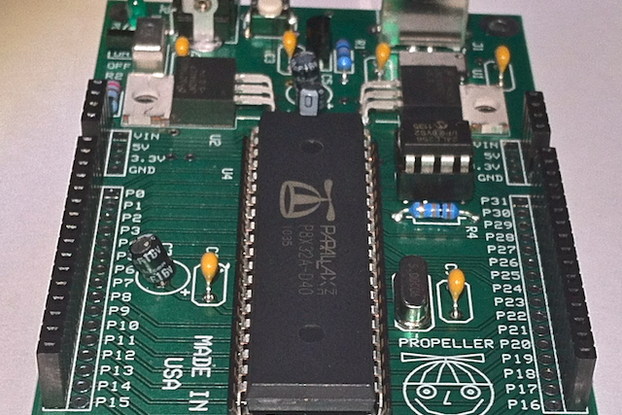 This tiny FPGA fits easily on a breadboard and is ideal for prototyping. 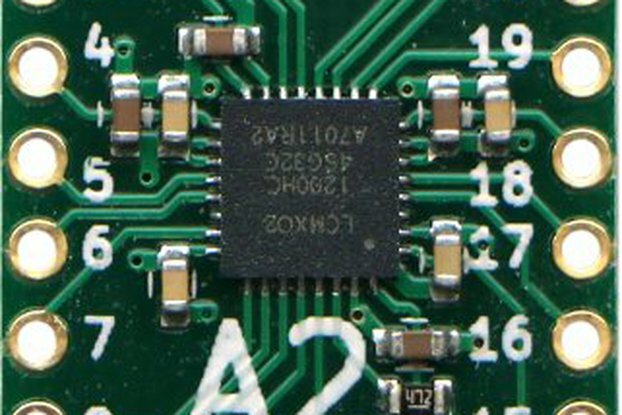 Nevertheless, the features of the iCE40 chip are everything else than tiny. I was blown away by the capability of this chip. Luke has created a nicely working environment and a really good awesome boot loader. The TinyFPGA BX is exactly what I was hoping for in an FPGA platform. No bloat, a readily deployable module when paired with only the specific hardware your application needs. The software was trivial to setup in Linux, and was documented quite well. Additionally, Luke has been extremely helpful and quick to respond when people raise issues they are having on the forums for the product. I would wholeheartedly recommend this to anyone who wants a small, general purpose FPGA for personal projects. This product sits in the same product space that the old Digilent CMOD once occupied, but is easier to use, faster to deploy, and avoids the monstrous bloat associated with Xilinx tools.